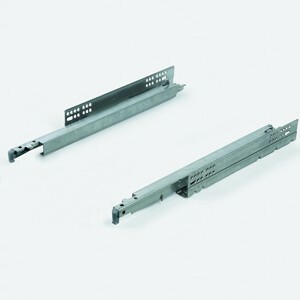 These single extension slides have an extra smooth action from quality nylon rollers and a baked enamel finish. 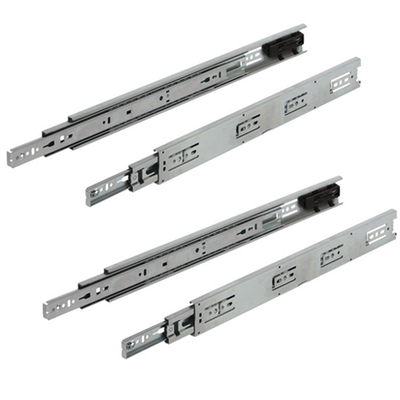 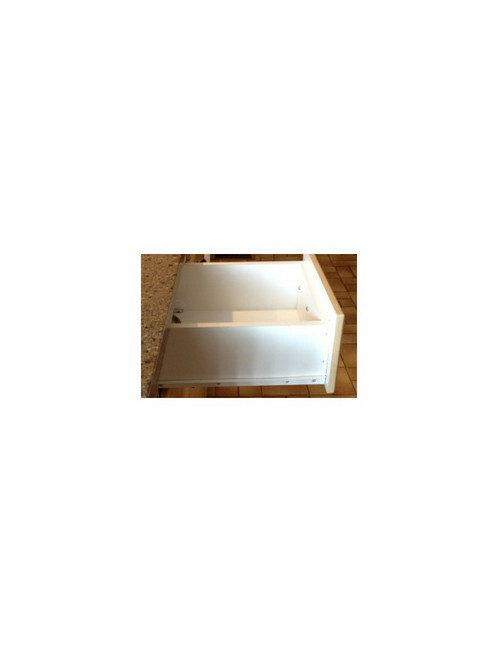 These single (3/4) extension side mount drawer slides have a white or cream white epoxy coating. 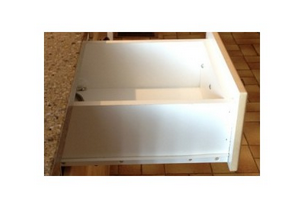 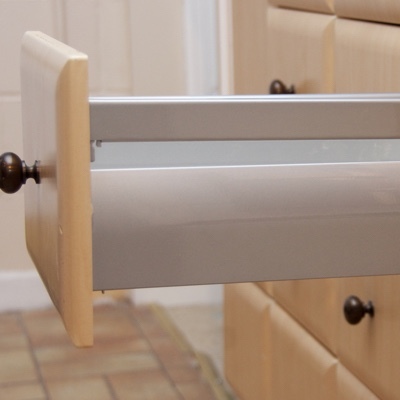 With a 100 pound load capacity, the self-closing drawer slides are easy to move in and out.